Galvanized Barbecue Grill Netting is made of high quality galvanized Crimped Wire Mesh. Galvanized Barbecue Wire Mesh is generally speaking one-off because of cheap price and material reason. Meanwhile we have Other Metal Mesh Products, contain filter products, and all kinds of Metal Plate Mesh Products. Stainless Steel Wire Mesh is our major products. Surface treatment: Galvanized, electrolytic polishing, chrome plating, nickel plating, copper, plating process. Size:Filler wire diameter: 1.0mm, 1.1mm, 1.2mm. Perimeter Wire Diameter: 2.5mm, 3.0mm, 3.5mm, 3.8mm, 4.0mm, 5.0mm. Production Process: Embossed barbecue net, welding barbecue net. In addition to twist flower Barbecue Net, hook flower BBQ barbecue net, punching net, stretching barbecue net, etc. Shapes of barbecue grill: Flat round, concave round, square, rectangle, fish. Square barbecue grill regular size: 900mm*600mm 800mm*500mm. 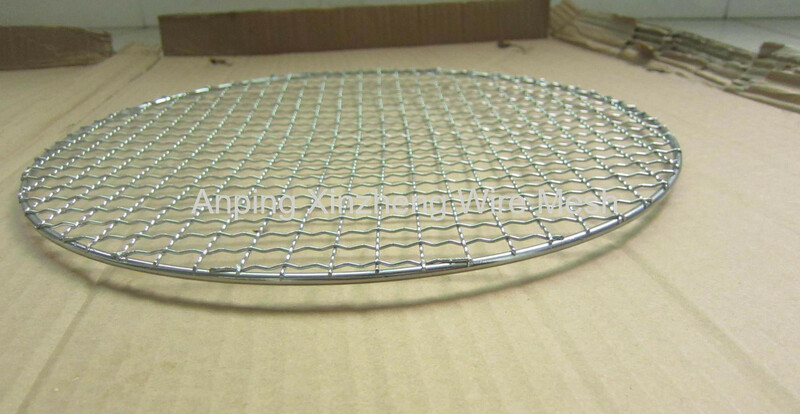 Circular diameter barbecue net: 240mm, 260mm, 280mm, 300mm. Using range: A one-time use and reuse for many times. One-time mesh material: Galvanized iron wire pull. One-time network edge material: Tin-coated (also called tin). 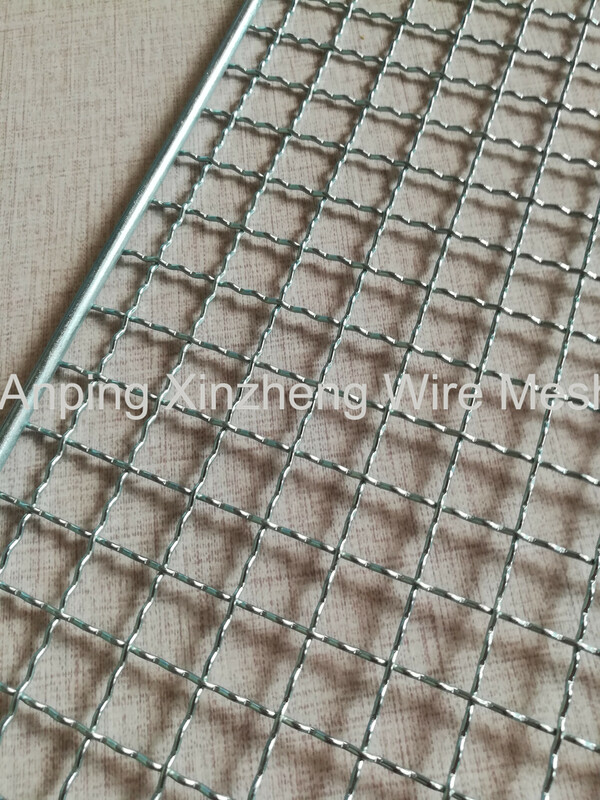 (2)Repeated use barbecue net for general welding net, is divided into single chip barbecue net And double barbecue net. Repeated use barbecue net material: Medium carbon steel wire, stainless steel 304. Structure: Sessile and with handle. Looking for ideal Galvanized Barbecue Mesh Manufacturer & supplier ? We have a wide selection at great prices to help you get creative. All the Barbecue Grill Netting are quality guaranteed. We are China Origin Factory of Barbecue Grill Mesh. If you have any question, please feel free to contact us.